Registration is in Room 223 of the Sullivan Building (Bld. 6) at 6:45 PM on January 30. 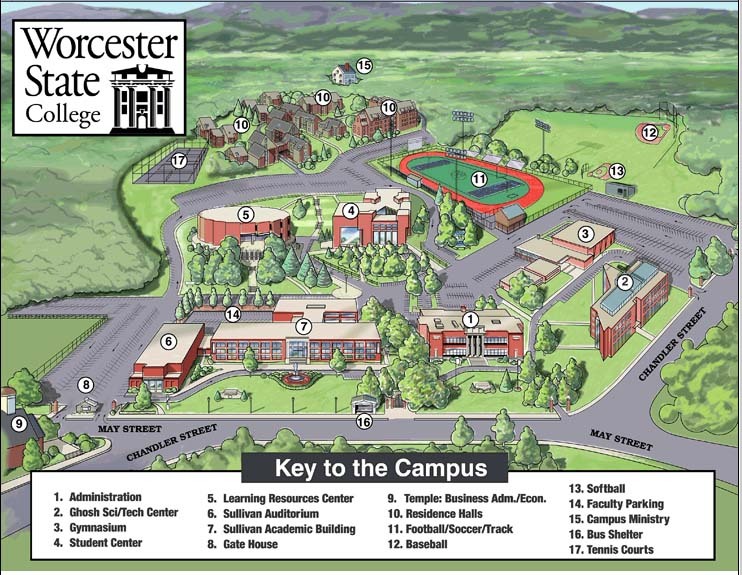 See image below for graphic of the campus. While on Highland Street, stay in the right hand lane. Stay on Highland Street for 1.5 miles. (you'll pass Elm Park and Doherty High School on the left.) At the rotary, bear left onto June Street. (Pizza establishment on corner) At the second light, turn right onto May Street. The main entrance to the College will be three blocks up on your left.